Truck Accident Personal Injury & Wrongful Death Lawyers Signal Hill, California! Over 40 Years of Experience That You Can Trust! Need Experienced and Trusted Attorneys and Legal Experts To Handle Your Signal Hill, Los Angeles, California Personal Injury And Wrongful Death Truck Accident Claim? Signal Hill truck crashes can cause devastating injuries and major property damage. Serving people injured in truck accidents or families of those who suffered a death from a truck accident with a wrongful death accident claim in Signal Hill, L.A., California, we are a team of experienced and expert lawyers who work extremely hard to get our clients the best result possible. With more than four decades of experience in handling personal injury and wrongful death claims, our accident lawyers work to help our clients get the best medical care possible, obtain maximum compensation for their injuries, and guide them through all of the complex insurance and government procedures and time deadlines. While we are extremely compassionate towards our clients, we are equally aggressive to fight for them against the other parties’ insurance companies. Our goal is to get the best result possible while making the process as easy as possible for our clients! If you need legal help, please call us now at 1.866 INJURY 2 or 818-222-3400 for an absolutely FREE consultation & case evaluation. And with our personal injury and wrongful death truck and car lawyers we work on a contingency fee –that means if we take your case there is NO fee unless and until you WIN! Our fee comes out of the recovery paid by the insurance company and NOT out of your own pocket! Please call us now or contact us 24/7 to see if we can help you now. Vehicle Repairs: Sometimes, street and road accidents cause great property damage to cars, trucks and other motor vehicles, calling for repair or if a total loss replacement. Our team of lawyers and legal assistants assist you with this problem in the best way possible, including arranging tow, storage, free loan cars and settlements. 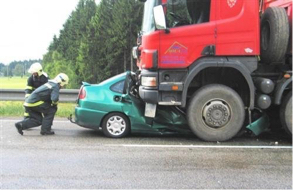 Medical Care: Truck accidents are likely to cause grave injuries. This brings in the need for expert medical care. We endeavor to find doctors, physical therapists, X-Rays and scans (e.g., MRI and CT scans), prescription medications and other medical professionals for our clients. These medical professionals and health care providers provide the necessary medical care and treatment to our clients and usually wait for payment until your claim has been resolved. Thus, our clients usually receive medical care without any advance payments, not even any co-payments or any deductible. Cash Advances/Emergency Loans: In many cases, truck and car traffic road accidents in Signal Hill and Los Angeles can have a bad impact on your overall financial state – from incurring large hospital and other bills to loss of income when unable to work. We are well aware of these facts and problems and in many cases we are able to assist you in getting emergency loans and advances on your settlement! Transportation to Doctor: Our personal injury accident lawyers and law offices help arrange doctor, physical therapy and other medical appointments on behalf of our clients. Also, if you need help getting to and home from your doctor and physical therapy appointments just let us know right away as we often can arrange transportation to and from doctors and physical therapists. To learn more about our truck accident personal injury & wrongful death lawyers and attorneys, please visit our lawyer profiles to learn more about the experience and academic credentials of our expert personal injury lawyers. Further, familiarize yourself with the complex process of handling road truck accident claims by reading through our Truck Injury Accident Web Site; and for more specific advice about your own particular truck, car or motorcycle collision, please call us now for your FREE consultation at 1.866 INJURY 2 or 1.818-222-3400 (after hours, please press “1”). Over 40 years membership with the California State Bar. Awarded Personal Injury Attorney in 2010 and 2014. Recovered for our clients’ monetary compensation over $100,000,000.00. Have a success rate of over 95% in resolving thousands and thousands of personal injury & wrongful death cases over the past 40 years. Awarded Personal Injury Law Firm in 2011 and 2014. To get your FREE consultation, simply contact us for truck collision, car crash or motorcycle accident consultation for Signal Hill, L.A., CA. Just click here and complete our simply form or call us now.. 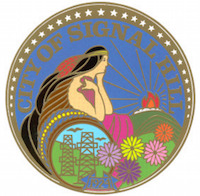 Located in the Greater Los Angeles Area, the city of Signal Hill has a population of 11, 016, as per 2010 US Census. Further, Signal Hill has a total area of 2.2 square miles and it is surrounded on all sides by Long Beach, California. Boxer Tod Faulkner (a.k.a “Kid Mexico”), the welterweight champion in 1925 and the bantamweight champion in 1914, was one of Signal Hills’s most colorful residents. 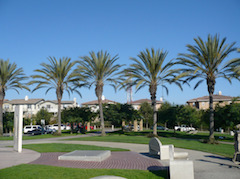 Some of the major parks and recreation facilities in Signal Hill include Calbrisas Park, Reservoir Park, Hillbrook Park, Discovery Well Park, Hilltop Park, Panorama Promenade, Raymond Arbor Park, Sunset View Park, Signal Hill Park, and Temple View Park, among others. For a FREE injury accident legal consultation, fill out the details in our contact form and inform us about your Signal Hill, CA truck accident injury case. Besides a FREE consultation, our Signal Hill and L.A., truck accident injury attorneys charge NO FEE until your claim has been resolved and your WIN! Yes, we work on a contingency fee which means we only get paid when we win and then our fee comes out of the recovery, usually paid by the other parties’ insurance company and not out of your own pocket! There are many time deadlines and procedural rules so please do NOT delay – Please contact us now. FREE CONSULTATION - NO FEE UNTIL YOU WIN!! !